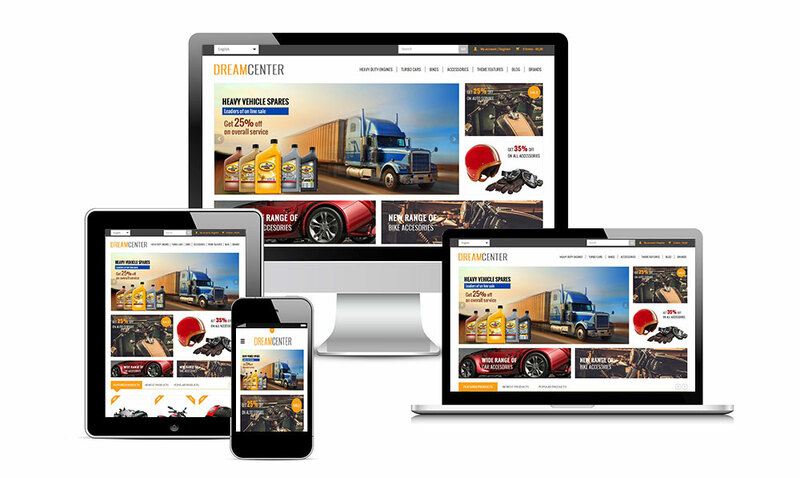 Dream Center theme is based on the familiar Bootstrap code, which is why it can be considered as being responsive. The design is arranged in such a way, that any-one can easily modify it. In addition, it has a serene and â€˜cleanâ€™ character, thus meeting the requirements of many online retailers. Have you already purchased the theme, or are you considering doing so? If yes, we recommend reading the theme documentation carefully. This will bring you exciting SEO shop experience and will ensure you gaining maximum profit from this awesome theme. Twelve percent of all online orders in the Netherlands is placed using mobile devices, with a preference for shopping with tablets. To make things as easy as possible for these users, we have made this theme responsive, with the advantage that the dimensions of your online store adapt themselves to the characteristics of the device in question. Thus, your online store will be clearly visible on all current screen formats, from smartphones and tablets to desktops and laptops. Activating the mobile version of your online store through the back office is no longer necessary. Google Web Fonts enable you to easily provide your online store with a proper style. The font faces, available through Google Web Fonts, can all be downloaded free of charge. To view the Web Fonts, go to the overview page. At the left side of the website, you can filter fonts and eventually find the perfect font for your website. Several settings are available through GENERAL > Design > Settings in the left menu of the back office, enabling you to tailor the entire theme to your preferences. When entering a single color, matching color combinations will automatically be used in your theme. The description can be found with the setting in question. SEOshop provides support for this theme. Are you having problems, or do you have a question or remark? Please contact us through the SEOshop Ticket Center. Would you like to know more about Google Web Fonts, or select a font? If so, navigate to the link below. This theme uses the Bootstrap grid and glyph icons. Would you like to know more about the Bootstrap grid and how to optimally use it? If so, please refer to the Bootstrap documentation using the link below.